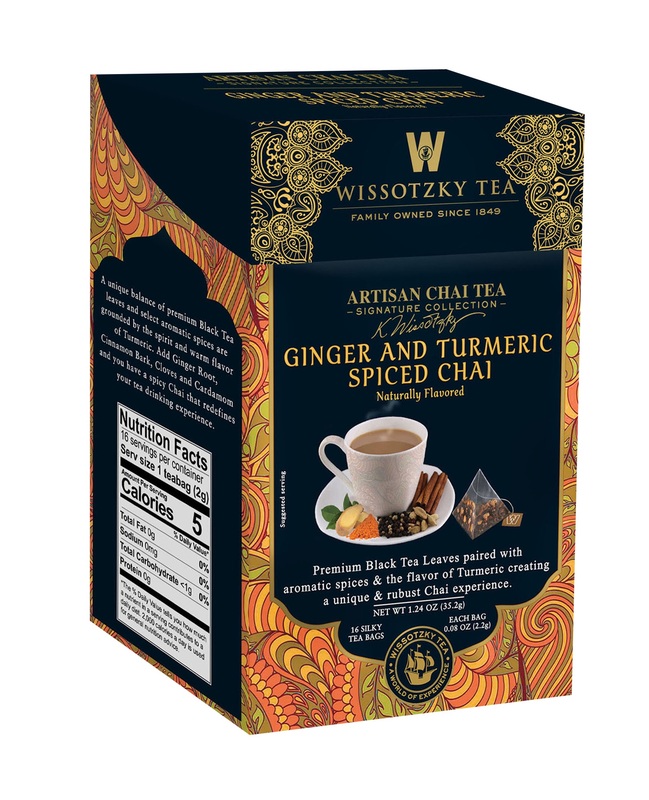 A unique balance of premium Black Tea leaves and select aromatic spices grounded in the spirit and warm flavor of Turmeric, a spice that's enticing flavor is complimented by it's health benefits, with Ginger root, Cinnamon bark, Cloves & Cardamom, this spicy Chai redefines your tea drinking experience. Premium Black Tea Leaves paired with aromatic spices & the flavor of Turmeric creating a unique & robust Chai experience. Each silky pyramid tea bag contains loose whole leaves and spices, providing robust flavor and an intoxicating aroma. A true and exotic Chai indulgence. SELECTED BLACK TEA, GINGER ROOT, CINNAMON BARK, TURMERIC, CLOVE, NATURAL FLAVORS, CARDAMOM.